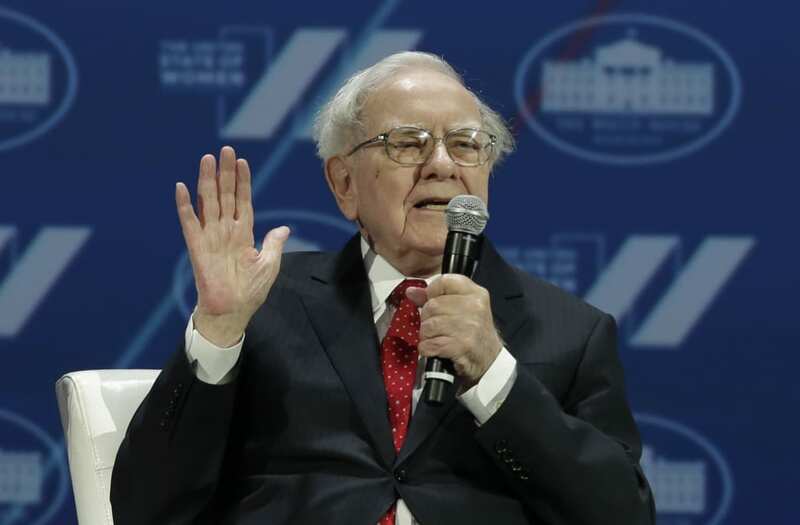 Warren Buffett has praised the life's work of Jack Bogle on several occasions recently. He's even gone so far as to call Bogle a "hero" in his recent letter to Berkshire Hathaway(NYSE: BRK-A)(NYSE: BRK-B) shareholders. So who is Jack Bogle, and why is Buffett such a big fan? One excellent example that I've discussed before is the Vanguard S&P 500 ETF(NYSEMKT: VOO), which tracks the performance of the 500 stocks in the S&P 500 index and charges a rock-bottom 0.04% expense ratio -- 96% less than that of funds with similar holdings. Mark Cuban may have ditched his wild 'do, but otherwise, he hasn't aged a day since he took his senior portrait in 1976! "Shark Tank" star and real estate magnate Barbara Corcoran was a cheerleader in her heyday -- and she hasn't lost any of pep since 1969. The business magnate was quite the dapper young man in 1947. These days, the Apple co-founder opts for more casual looks than his tux in his 1968 senior portrait. Wozniak's business partner, Steve Jobs, rocked the man-bob in 1972. Ralph Lauren had the same penchant for plaid suits in 1957! Microsoft co-founder Paul Allen looked totally current with his Warby Parker-esque frames in 1969. Plaid shirt? Check. V-neck sweater? Double-check. Bill Gates' style sure hasn't changed since the 8th grade in 1969. Adorable! Allen and Gates have taken their friendship from the computer lab to the basketball court. Before Oprah was one of the biggest TV personalities and businesswomen in the world, she was voted "Most Popular" in her 1971 high school yearbook. Love those peace sign earrings! No doubt 1960 Debate Club helped prepare Michael Bloomberg for a future in business and politics! These days, Yahoo CEO Marissa Mayer speaks sans notecards. Here she is at her 1993 homecoming dance. The only thing that's changed since this 1993 debate is Mayer's hair -- the CEO went from a wavy brunette to a straight blonde bob! Trump's soccer days are behind him -- but his competitive spirit lives on. He even had a bit of the same combover in 1964! "The Profit" star Marcus Lemonis, chairman and CEO of Camping World and Good Sam Enterprises, rocked a 'fro in 1988. We wonder what Classmates.com and Intelius CEO Abi Heller's former schoolmates think of his biz!